Hello again! Thought I’d break my 21-day gratitude spree? Well it’s cutting it a little close, but after the busy day I’ve had, you’d understand! Today I am grateful for many, many things of which three stand out the most: Sunsets, Escapes, and good ol’ Detergent. Look at this beauty. 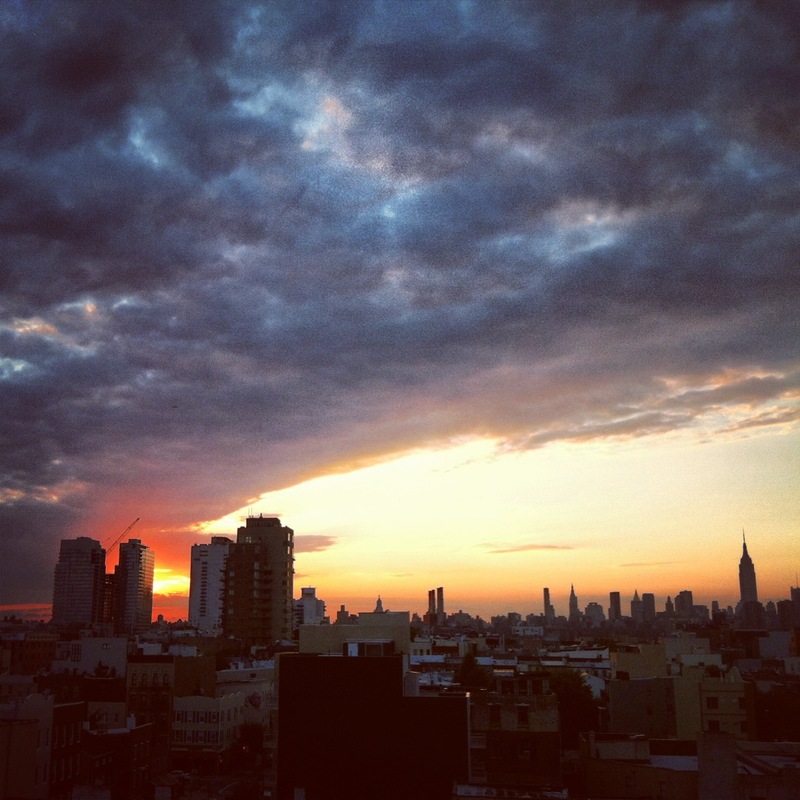 This breezy and refreshingly mild evening was spent atop a roof in my lovely hometown of Williamsburg, Brooklyn. The sunset slowly made its way across the NYC skyline while I enjoyed the company of friends while savoring chilled avocado soup topped with shrimp & salsa (commence drooling). The soft bluish blanket of cloud and warm orange and pink hues of the sun intersected perfectly…. As if the approaching night sky softly embraced the sleepy sun. No single sunset is the same, as is each day we live on Earth. Make it count. I am grateful for Sunsets. The thought of Escape comes to my mind as well this evening to add to the many things and ideas I am grateful for. I still reflect on the indescribably peaceful couple of days spent in the Berkshires with family. It was truly a time where I Escaped my superficial worries, fears, and stresses. Each day was a pure expression of living in the moment. 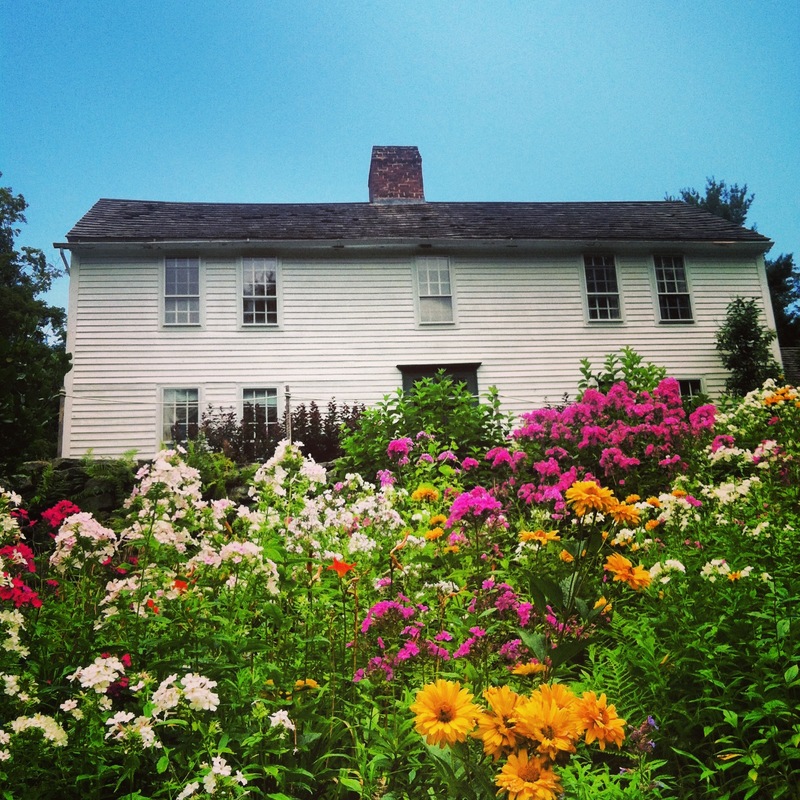 From stopping on the road to explore a less-traveled winding dirt path that led to an immaculate 1700’s farm house, to sitting quietly on the front porch or the meadow – each moment was spent absorbing the essence of Life, which is (as I am slowly getting the hang of!) being present in each moment. I am grateful to have had the beautiful experience to Escape to the North, but am even more grateful to be honing in on the ability to create that “Escape” state of mind wherever I journey. I am grateful for Escapes. On a less introspective note, I am SO SO SO SO grateful for Detergent. Today I spent 10 hours in the field sampling groundwater and measuring levels of oil (No. 6 fuel oil product to be fancy) at an undisclosed location in New York. I donned my Tyveks as to avoid any destruction to my favorite new pair of hiking/summer cargo/ work pants, but somehow the nasty molasses-like-evil-goo-from-Fern Gully still managed to seep onto my clothes! I reluctantly surrendered to the petroleum powers that be and sadly accepted the new stains on my favorite work pants. Upon returning home, I raced to my room, and couldn’t get my sweaty, oily, bug spray-ee clothes into the wash! And lo and behold….. The pants came out SPOTLESS! This goes to show that with a little luck, good detergent, and good timing, you can get No. 6 Fuel Oil off of your favorite pants (helps that they were cotton too, no?)! I am grateful for Detergent.